The presence of a varied range of definitions on the theme of poverty underlines the necessity of no longer relying on a single indicator yet rather on a group of indicators, useful in the definition of living conditions of various subjects. The starting point for this approach derives from the necessity of identifying, on the basis of statistical data, geographical zones of urban poverty, in the specific case of the area of the city of Bari. Rapid developments in the availability and access to spatially referenced information in a variety of areas have induced the need for better analysis techniques in order to understand the various phenomena. In particular, spatial clustering algorithms, which groups similar spatial objects into classes, can be used for the identification of areas sharing common characteristics. The aim of this paper is to present a density based algorithm for the discovery of clusters of units in large spatial data sets. These approaches have been improved using the SaTScan and DBSCAN or Seg-DBSCAN methodology. Further developments concern the application of a DENCLUE "weighed", obtained using the intensity of a phenomenon instead of the density kernel. 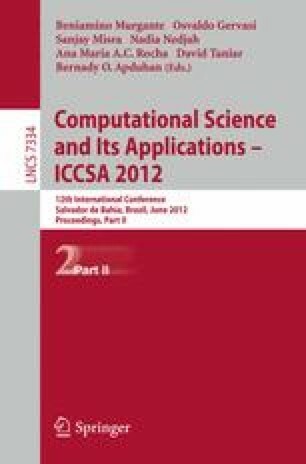 The contribution is the result of joint reflections by the authors, with the following contributions attributed to S. Montrone (chapters 4 and 5) and to P. Perchinunno (chapters 1, 2 and 3).